I developed this beech wood stand for all loom sizes. A stand makes it much more comfortable for your neck and back when you're weaving. The stand for looms S, M, L and XL are listed separately because they fit in an envelope, which means a lower shipping cost. Each stand is made by hand and consists of 2 beech wooden sticks that you connect to your loom by drilling little holes on both sides of your loom. 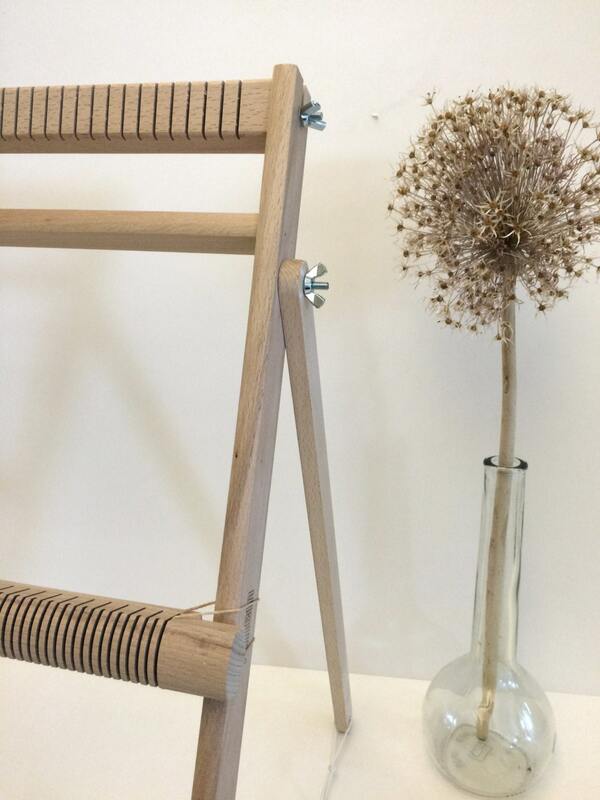 This listing contains a stand with two sets of bolts and nuts and 2 pieces of cotton yarn to connect it to the frame. A brief instruction of how to drill the little holes and attach the stand, will be included. Eenvoudig en voordelig hulpmiddel. Maar het werkt supergoed. Door de standaard te gebruiken gaat het weven een stuk gemakkelijker.